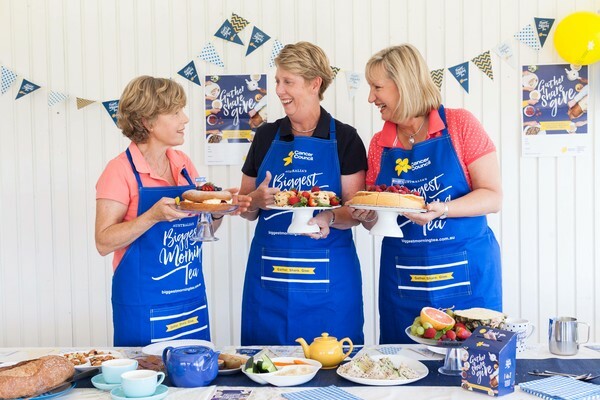 Cancer Council Queensland is calling on South West Queensland locals to prepare to pop on the kettle and host an Australia’s Biggest Morning Tea their way this May in support of around 2120 locals who are diagnosed with cancer each year. Registrations for the fundraising initiative are now open for 2019 and to raise awareness ahead of the official date, Thursday 23 May, a giant mug has departed on a journey that will see it travel around the state, including to South West Queensland. Cancer Council Queensland CEO Chris McMillan said the charity hoped by sending the mug around the state and showcasing its journey on social media, using the hashtag #MugOnTheMove, more people would learn about the fundraising campaign. Ms McMillan said South West Queensland locals needn’t wait to see the mug on social media or visit their town to sign up. “Our new-look website for 2019 has just gone live, so we’re calling on South West Queensland locals to register as a host and set a date now, to make a difference,” she said.